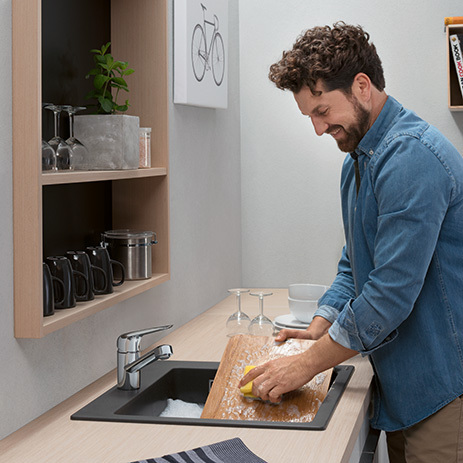 Does your customer want to upgrade their sink? 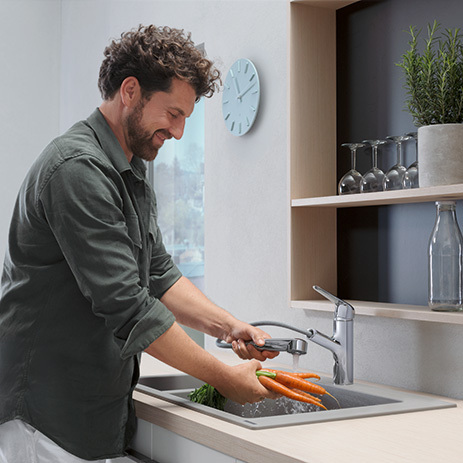 With the hansgrohe M42 kitchen tap range, you can help them to swap old functionality for modern technologies and upgrade on usability – no problem at all. These taps are available in three basic shapes, five heights, two surface finishes and with a pull-out hose. So there is a wide range for your customers to choose from. The M42 taps are gleaming with brand quality and add a touch of refinement to every kitchen setting. These taps place emphasis on the attractive price and ease of replacement. 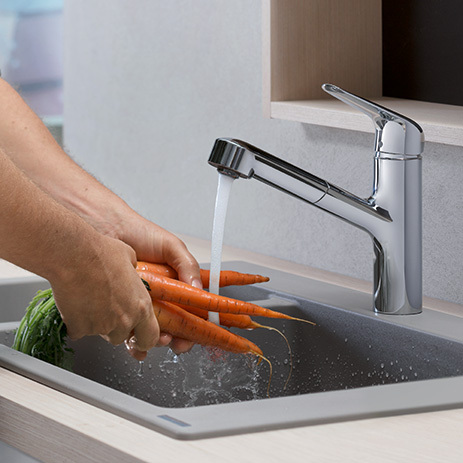 The modern and organic tap design with its basic rounded shape boasts precision edges and curves. ComfortZones between 120 and 220 mm. 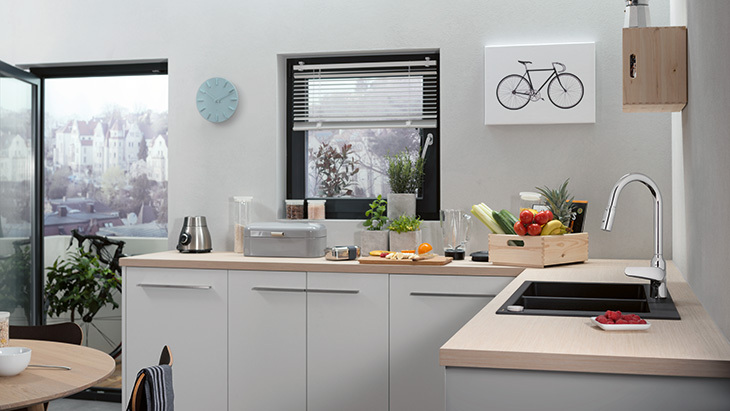 The different distances from worktop to spout ensure an optimum fit at the sink and ultimate freedom when getting to work in the kitchen. Up to 360 degree swivel areas to direct the water to where it is needed. This makes work so much easier and is perfect for kitchens with two sinks. Pull-out spout/hand spray for much more flexibility at the kitchen sink. MagFit always keeps the shower head safe and secure in the tap spout. Large ergonomic handles enable secure handling, even when fingers are soapy or dirty. 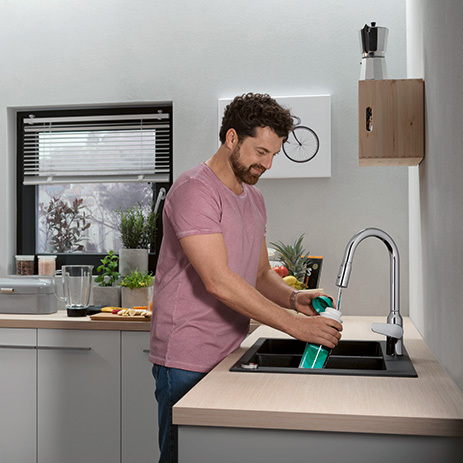 Cleaning the kitchen tap is so easy with QuickClean. The bubbling AirPower mixes the normal spray with air. Can be connected to a boiler/water heater. 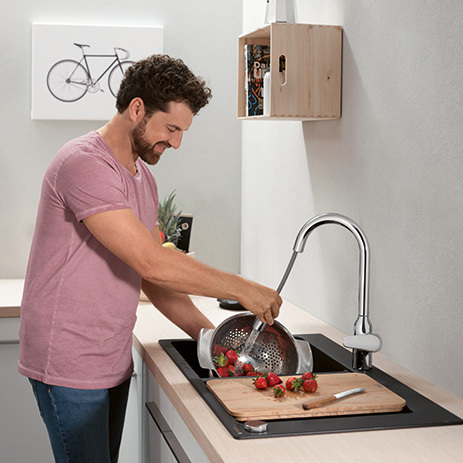 The M42 kitchen tap with pull-out spout and hand spray add up to 76 cm to your customers’ working radius (depending on the installation). M42 models with a shower head (180 and 220 mm height) offer the luxury of two jet types. So it is easy to switch from laminar spray to shower spray. The former is best for filling large containers; the latter is perfect for washing ingredients or rinsing out pots and pans. 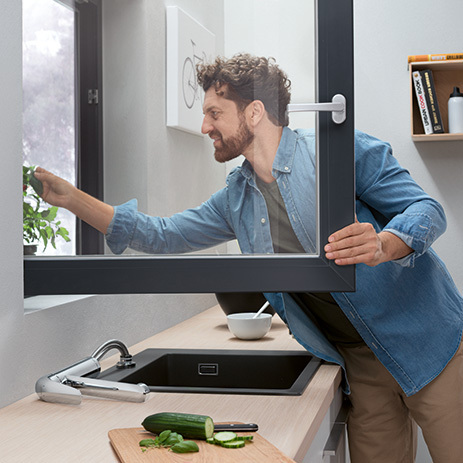 hansgrohe has an sBox for pull-out functions. This features an elegant hose guide under the sink and makes it very easy to handle the shower head. The sBox also protects the pull-out hose from damage. Good to know: The sBox fits into all standard base units.